PALMER -- Gov. Mike Dunleavy has appointed the mother of a murdered Mat-Su teenager in the midst of a high-profile ongoing criminal case to serve as chair of the Alaska Parole Board. Grunwald, a retired Air Force colonel, has not previously worked in corrections or law enforcement. Her appointment still needs to be confirmed by the Legislature. Her term begins March 1. The parole board decides whether an offender should be released from prison on parole after serving at least a minimum part of their sentence. The board is currently made up of four former or current state corrections employees -- including a chair with more than two decades within the state correctional system -- and a village public safety officer. Members serve 5-year staggered terms and are appointed by the governor. Grunwald’s was one of two dozen appointments the governor’s office announced on Friday. “Your work on the Board to establish conditions of parole and conduct clemency investigations will help to ensure the safety of all Alaskans,” Dunleavy wrote Grunwald in a Jan. 8 letter after she accepted the appointment. “Thank you for giving your time and talents to serve the people of Alaska." 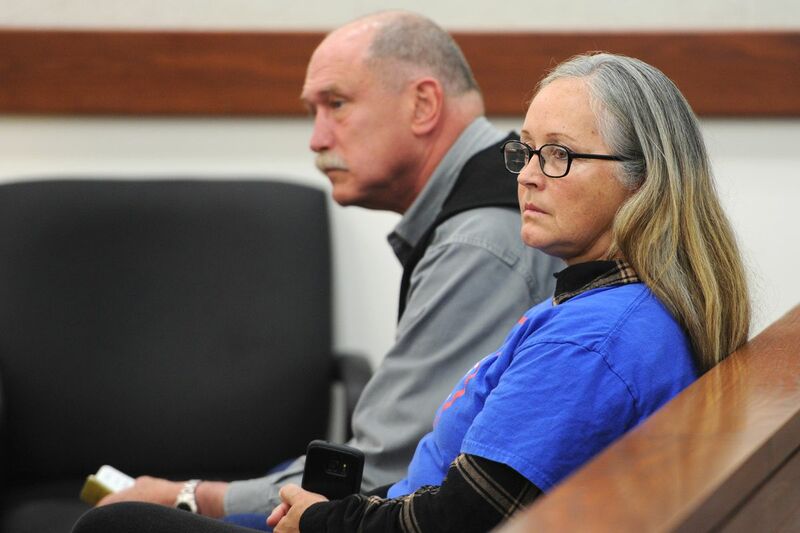 A Dunleavy spokesman declined to answer any other questions about the appointment, including Grunwald’s qualifications and her ability to be impartial when hearing cases involving inmates convicted of murder. An Alaska Department of Corrections spokeswoman did not respond to a request for information. Grunwald in an interview Saturday said someone approached her about a position on the parole board earlier this month. She declined to say who that was. She didn’t expect to be appointed as chair, but said she brings compassion and a victim’s perspective to the position. Asked about questions about her impartiality given her son’s case, Grunwald said she would never abuse her position as chair and will be fair-minded as she presides over the board’s decisions on parole and clemency. The parole board makes decisions based on a risk assessment tool, victim testimony, and weighing whether letting out an inmate will diminish the severity of the offense, officials say. Grunwald said she plans to rely on such parameters, though she’ll also bring a critical eye to the process. So far, two teens accused in the killing -- Erick Almandinger and Dominic Johnson -- have been convicted. Two more face future trials. None of the defendants in her son’s case would be eligible for parole during Grunwald’s 5-year term. Grunwald lost a bid for lieutenant governor in the Republican primary last year to Kevin Meyer, but finished ahead of several other more seasoned politicians. She made a platform out of her support for repealing Alaska’s contentious criminal justice reform law, Senate Bill 91, arguing it was being too soft on criminals. Elements of the law have also drastically increased the work of the parole board: provisions that expanded opportunities for discretionary parole led to a three-fold increase in the number of inmates requesting board hearings in 2017. Grunwald retired from the U.S. Air Force as a colonel with 31 years of military experience, according to her campaign bio. She served as a former human resources director for the Alaska National Guard. She replaces Lonzo Henderson, the current chair whose term expires in March. Henderson worked within the state Department of Corrections for 21 years “in increasingly responsible positions as a corrections or probation officer and administrator,” before he retired in 2001 as assistant director of the community corrections division, according to a parole board bio. Since 2003, he has been a case manager with the Community Residential Center offender supervision program, a private contractor of halfway houses for the department.